If you haven’t suffered from an intense bout of FOMO yet this week, let us help you with that. 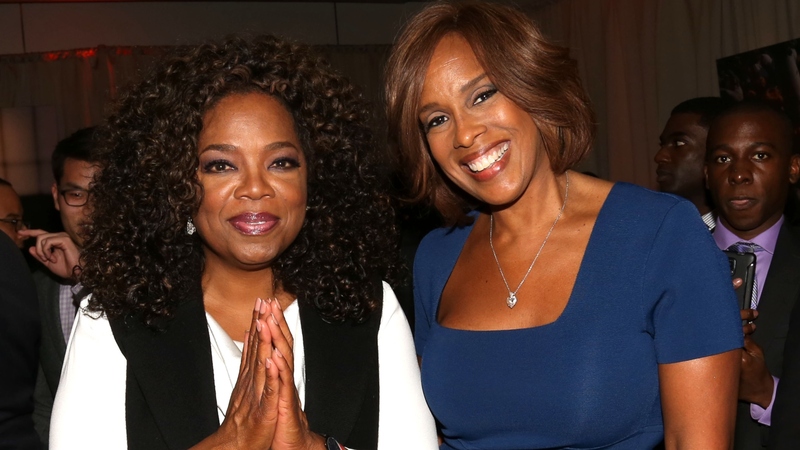 In the third episode of OprahMag.com’s The OG Chronicles, BFFs Oprah Winfrey and Gayle King prove they are the girlfriends we don’t deserve — but that we all need. The segment starts with the women addressing the topic of family drama, followed by fielding a question from a female fan. And, well, someone out there undoubtedly needs to hear the gospel truth of Winfrey and King today. The dilemma tendered to the dynamic duo involved a woman who’d been having an emotional relationship with her sisters’ ex-boyfriend behind her sister’s back. What should she do, the anonymous female fan wondered? Winfrey and King didn’t mince words. “Stop it now! Wow. It breaks the girlfriend code,” Winfrey said, with King chiming in, “Girlfriend code, sister code, family code!” Their advice could have stopped there since they captured the essence of the issue. But Winfrey added a hilarious personal anecdote from the women’s past to give their reply a bit more impact. The fact the following clip includes the term “boinking” and a reference to straitjackets should give you a fair indication as to the kind of magic that happens when Winfrey and King dole out advice together. King went so far as to tell Winfrey that if said “boinking” ever occurred, Winfrey should have a medical professional come out, put her in a straitjacket and have her committed. And honestly, if your best friend isn’t willing to be committed for betraying you, is your friendship even real?